The pressure to build homes and places fast means we need new and tested ways to support delivery at a pace that keeps up with demand. 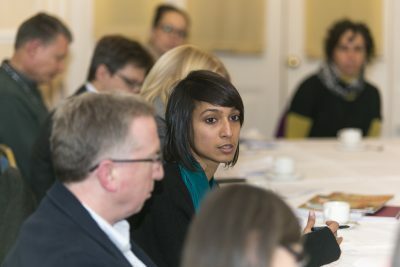 This roundtable, part of the New Routes to Growth programme, will explore the value of a range of models of public and private sector partnerships in helping to meet demand for growth. We will debate the value of a range of delivery models including Urban Development Corporations, Urban Regeneration Companies, Local Authority Housing Trusts, Planning Performance Agreements and the more collaborative pre-application processes promoted in the new Kent Planning Protocol. We will be questioning how these delivery mechanisms can deliver growth aligned to quality of place. The roundtable will also evaluate the effectiveness of mechanisms already set up, assessing how well they are working and what we can learn from them. The roundtable will be chaired by DSE Director, Chris Lamb.